Kodaline are an Indie folk and rock band orginally from Swords, Dublin, where members Steve Garrigan, Mark Prendergast and Vinny May grew up. The group is completed by bass player Jason Boland, who hails from County Kildare. 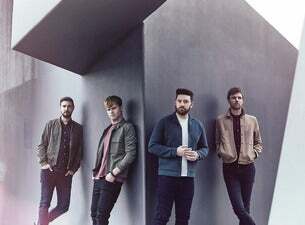 Originally known as 21 Demands, the band changed their name to Kodaline before the release of their debut album In A Perfect World in 2013. The record has sold over 350,000 copies worldwide and includes hits such as All I Want, High Hopes and Love Like This. Titluar track, Perfect World, is also currently used as the theme song for hit Channel 4 TV series Gogglebox. Their second album, Coming Up For Air, was released in 2015 and topped the Irish album charts.